First details on the newest installment of the hit Yakuza series, plus a closer look at the original game's upcoming remake. All the hard-hitting action, heavy drama, and alluring vices of the Japanese criminal underworld are coming to E3 this year because Yakuza Kiwami and Yakuza 6: The Song of Life will be playable at the SEGA booth (West Hall #4312)! The E3 demo will give players a chance to experience the most visually advanced game in the series for the first time! Expect a harder-hitting fighting system, a selection of wacky side quests that only exist in the world of Yakuza, totally revamped mini-games, and a taste of the gritty human drama that will consume the weathered Dragon of Dojima. Be sure to come by the SEGA booth and get a first-hand look at not one but two Yakuza games coming soon to PS4! Will the US see a demo on PSN sometime soon? That would be fantastic! You know you’re already a big fan of that franchise. 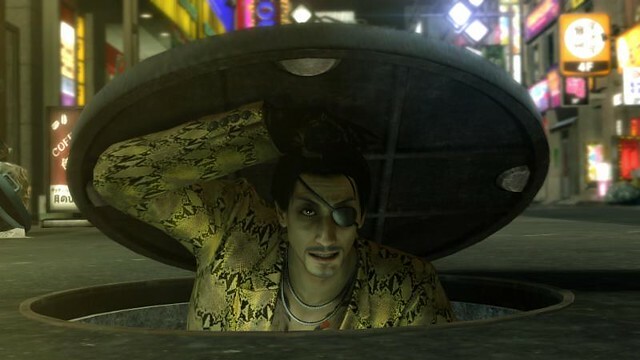 You know you will definitely buy and enjoy both Yakuza 6 and Kiwami. So, why do you still desperately need a demo then? Please enlighten me because I find this very fascinating. @ Guyper – Because he wants to play some as soon as possible?…funny how you’re so surprised,he ain’t asking for anything unusual. Also I want a demo because I was not able to play the JP PSN demo that came out over a year ago. I can’t read kanji and there is a lot of that in the game. I am so hyped for both of these games! They look so DANG GOOD OH DANG MAN. Thank you Sega/Atlus! These are my most anticipated releases, and I couldn’t be more excited. Thank you for rapidly bringing us up to speed with the series! Can’t wait for both of these. Already pre ordered kiwami bring it on for song of life, been a fan since the first ever Yakuza, I hope they port or remake yakuza 2-5 to PS4, I have played till 4 and then my PS3 broke so have never played fifth.